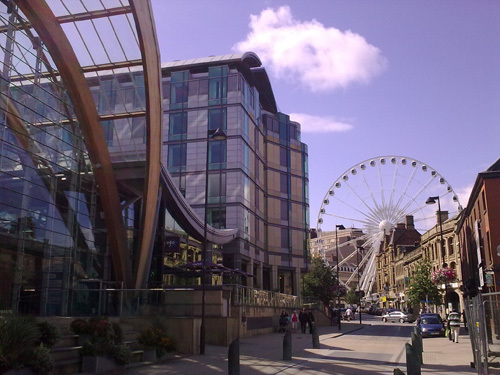 According to a recent article in the Sheffield Star, new plans have been announced for a £480 million shopping district that is set to transform Sheffield's city centre. 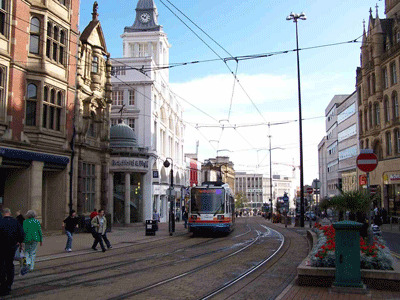 Streets such as Pinstone Street and Cross Burgess Street will be home to new contemporary fashion stores, setting the tone for the whole of the city centre. In addition, there will be a new anchor department store, along with plenty of new retail and leisure outlets. Image Sign Studio recently reported on the plans to demolish a number of shops on Devonshire Street in Sheffield, a popular area of the city centre with an eclectic mix of independent retail shops and quirky boutiques. As experts in the design and manufacture of shop signs Sheffield, we have been keeping a close eye on the developments of this story, and are sad to announce that the Sheffield Star have reported that despite nearly 20,000 objections, the shops will be knocked down. 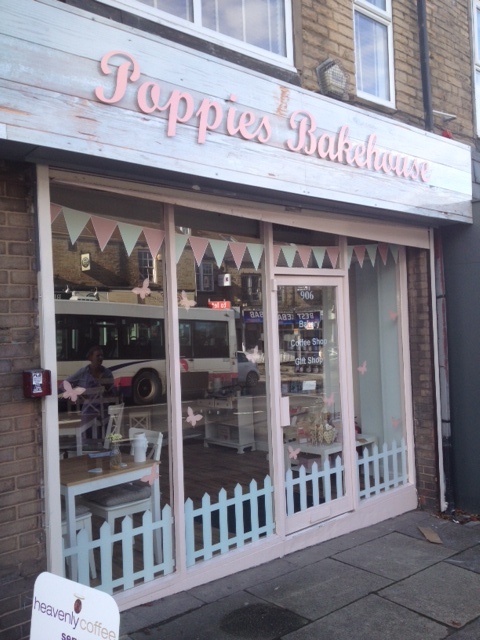 As readers of our shop signs Sheffield blog will know, we have recently been involved in the regeneration of 47 independent shops signs in Darnall, a suburb in the east of Sheffield. As it was a £300,000 refurbishment project we really had our work cut out for us, as many of the shop fronts were in a poor state of repair, which was having a knock on effect on the area as a whole. As experts in shop signs Sheffield, we recently had the pleasure of manufacturing and installing a flex face sign for the exterior of Sheffield and Hallamshire County Football Association on Meadowhall Road in Sheffield. 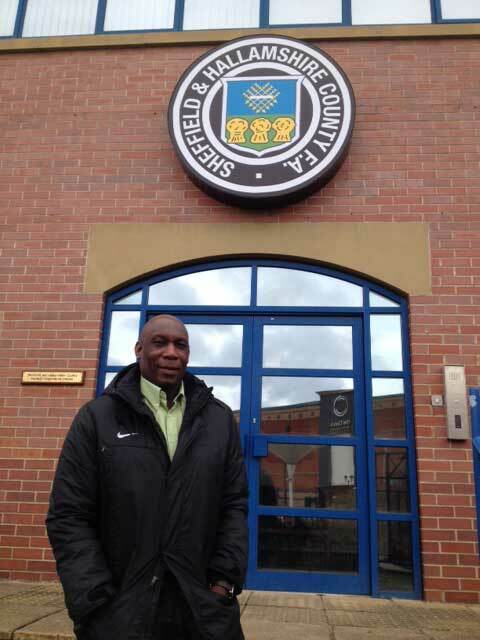 As you can see from the photo, we also had the pleasure of meeting Uriah Rennie, the retired English football referee who was born in Sheffield. Sheffield and Hallamshire County FA were formed in 1867, making them the first County Football Association in the country to be established. Making a success of a retail shop comes down to one thing; sales. The purpose of any business is to bring in customers, and there are several ways in which you can accomplish this. As expert shop sign makers in Sheffield, we have come up with 5 top tips that will improve your retail sales, providing your business with a boost as well as bringing in the cash! As professional shop sign makers in Sheffield, Image Sign Studio were interested to see what the fate of the former ski village would be after a deliberate fire reduced the site to ashes in April 2012. 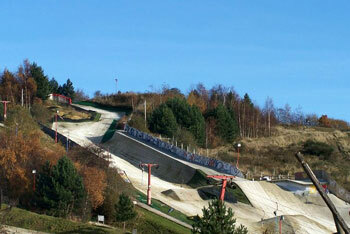 We are pleased to hear that new plans are being drawn up to transform the ski village and surrounding area into a major leisure attraction. Now that Christmas is over and the New Year has begun, you may be turning your attention to increasing sales from your retail shop by getting noticed on the high street. 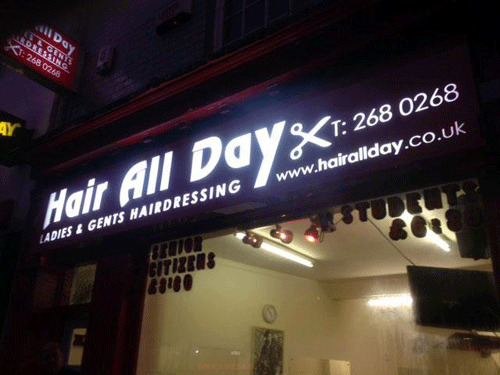 Illuminated shop signs Sheffield are a fantastic way to overhaul the look of your retail premises that will ensure you not only make a great first impression, but also that you stand out from surrounding businesses. As professional shop sign makers in Sheffield, we've put together a list of the top five reasons to revamp your shop for the New Year with an illuminated shop sign. The future of Sheffield's city centre has looked uncertain in recent years as new ideas are thrown around and existing plans are scrapped. In a previous post on our Sheffield shop signs blog, we discussed how plans for the Sevenstone shopping centre were frozen last year, only to find out that Sheffield Council are fighting to buy the designated area back from the previous developers in order to restart plans, possibly as early as next year. As professional shop sign makers in Sheffield, we like to keep our eye on what is going on in the various retail areas of the city. 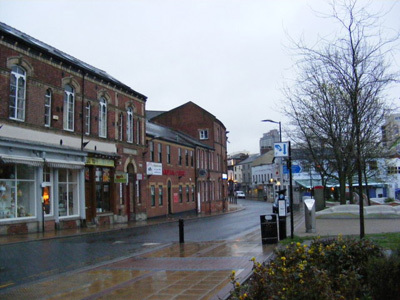 The recent news about the possible demolition of a number of shops on Devonshire Street comes as a blow to this vibrant independent retail quarter of Sheffield, and there are many that oppose the plans. Devonshire Street is a popular area of the city centre with an eclectic mix of independent retail shops and quirky boutiques selling everything from vintage jewellery and clothes to second hand books and records.